Blue Mountain Center is based in a turn-of-the-century Adirondack lodge on a pristine 1,600-acre estate. Life at BMC is organized to maintain privacy and quiet. The atmosphere is informal and cooperative. Since 1982, guests have gathered here in northeastern New York to work, converse, and relax in a peaceful, supportive environment. 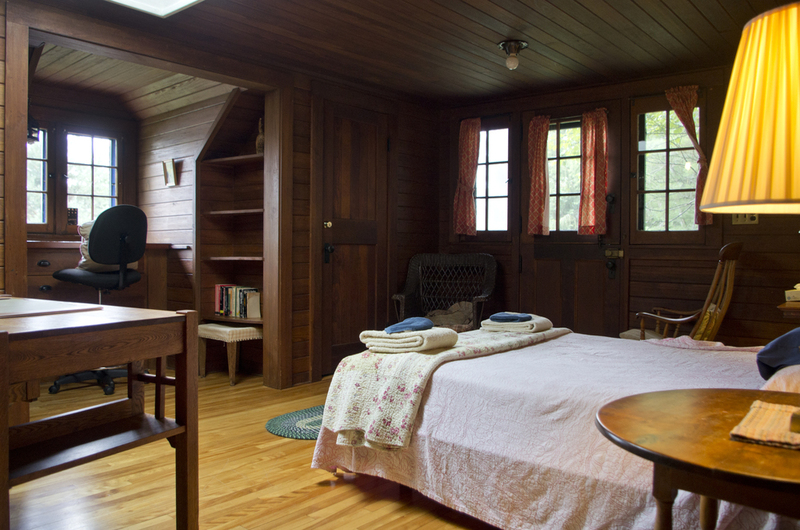 Each guest stays in a room in either the “Clubhouse”, a late 19th-century clubhouse built by Adirondack Great Camp architect William West Durant, or the “Grey Cottage”, once the summer home of Harold K. Hochschild, a historian and founder of the Adirondack Museum in Blue Mountain Lake. Writers stay in individual bedrooms that double as studios. Visual artists and composers work in studios a short walk from their bedrooms. Linens and laundry facilities are provided. The food at BMC is simple, wholesome and often focused around seasonal ingredients. We gather together at the dining room table for dinner. Breakfast and lunch are served for an hour each, and guests are welcome to enjoy them any time during the hour. Snacks, cookies, and leftovers are available any time. Guests are invited to help with clean up, and occasionally other simple kitchen duties! Dietary restrictions are accommodated upon request. Cell phones are prohibited at Blue Mountain Center during our Residency Program. We have a phone booth with unlimited long distance calling and a small Internet center with one public computer and ethernet cables for personal laptops. There is no Wi-Fi at Blue Mountain Center. The phone booth and internet center are available 24 hours a day. Family members and loved ones may call our office phone (518-352-7391) at any time in the event of an emergency. Blue Mountain Center is located within the Adirondack Park, the largest state park in the continental United States. Residents have access to over twenty miles of beautiful hiking trails. Four canoes and a rowboat are available for guest use. 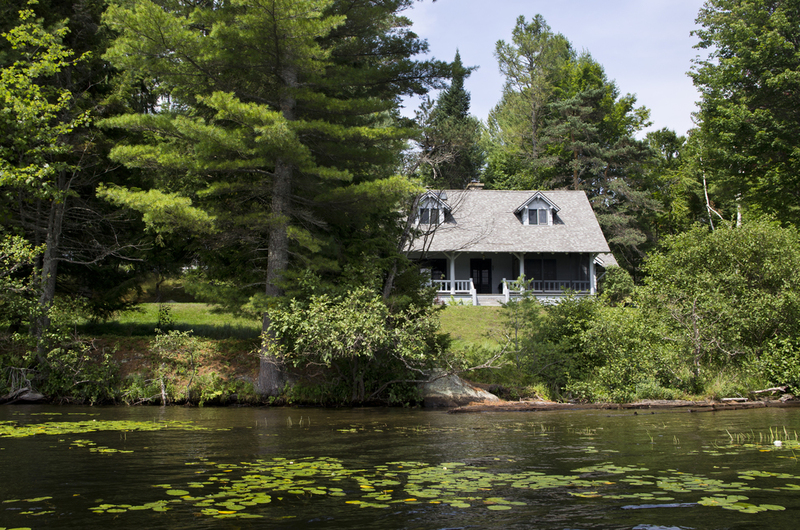 The amenities — tennis court, canoes, lakefront access, and hiking trails — together with the surrounding wilderness, promise even the most diligent worker diversion and relaxation. Blue Mountain Center exists to support the artist in the world. A spirit of interdisciplinary participation prevails. 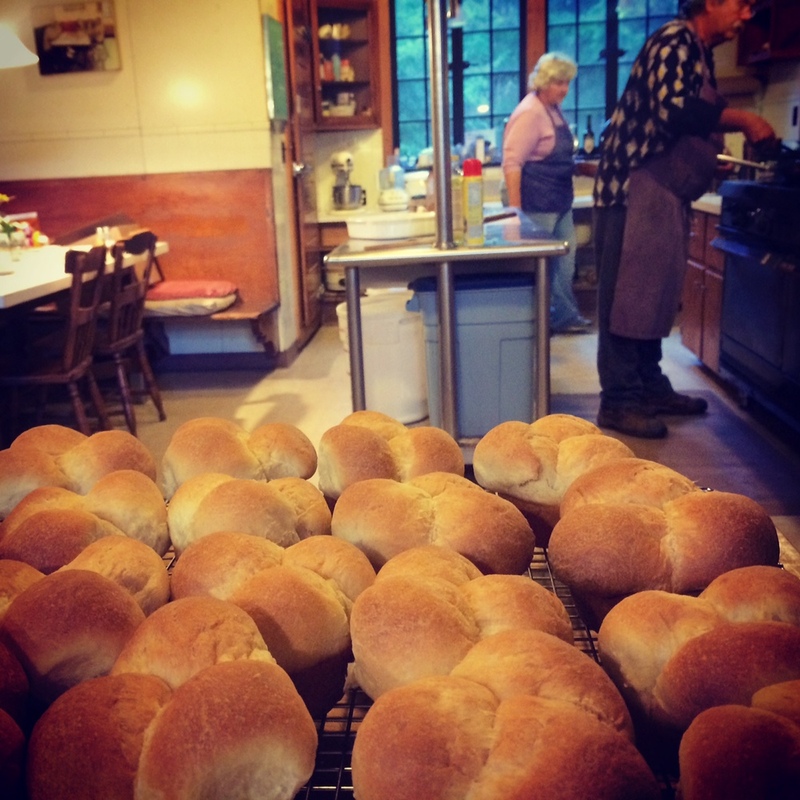 We appreciate when residents assist our small, hard-working staff in the garden, kitchen, and around the grounds. By the end of the session many of our most solitary, introverted residents are loath to lose the comforts of communal living. Blue Mountain Center is located in Blue Mountain Lake, New York, a hamlet of fewer than 150 permanent residents. Carpools to the Adirondack Museum (10-minute drive), the Indian Lake Theater (20-minute drive), and other sites of interest are often organized by staff and residents.